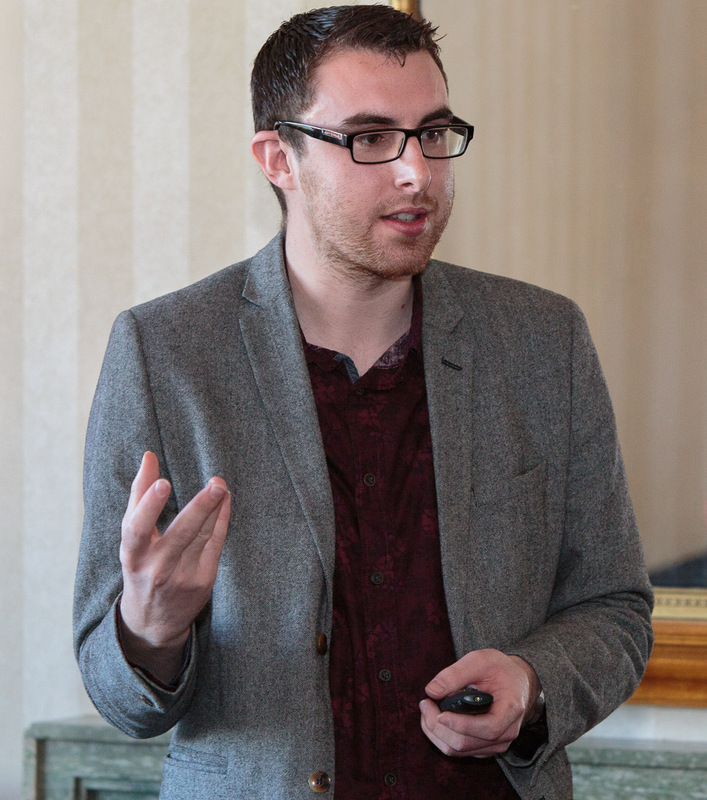 Award-winning Fife entrepreneur Kallum “with a K” Russell was the final business person in the 2015/16 season to share ‘My Story’ with members of St Andrews Business Club at its April breakfast meeting. His LinkedIn profile says: “I am passionate about marketing, entrepreneurship and all things local. I connect people, places and things. I enjoy challenging the norm, the mundane and the accepted. Put simply, I make things happen and enjoy doing it.” His CV backs that up in spades. Acorn Enterprise is dedicated to growing Scotland’s startup business culture. It’s already worked with 75 “Acorns” (participants) and of those who’ve completed the programme 75% are still trading and growing. And expanded into Acorn Business Bootcamps – teaching graduates how to start their own businesses, rather than become employees. The last theme is key to his personal mission – to grow Scotland’s entrepreneurial culture and ecosystem as the existing education system – based on the industrial model designed to produce employees for ‘jobs for life’ careers in large organisations – is broken. And get people past the fear of failure that holds them back as well as promote the idea that not every business has to be globally scaleable. 1. You can achieve ANYTHING you want to! 5. Enjoy What You Do! His favourite quote is: “The best way to predict the future is to create it.” If you don’t, he and his Acorns will!